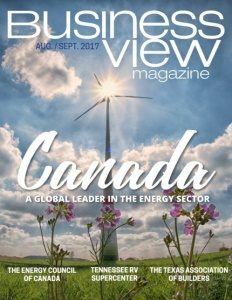 Business View Magazine interviews Frank Sonzala, CEO/President of CIMC Intermodal Equipment as part of our focus on best practices – American business. Containerization is a system of intermodal freight transport that uses shipping containers with standardized dimensions, that can be loaded and unloaded, stacked, transported efficiently over long distances, and transferred from one mode of transport to another – container ships, rail flatcars, and trailer trucks. The first modern shipping container was invented and patented in 1956 by an American named Malcolm McLean. McLean was not an ocean shipper, but a trucker who saw the need to streamline the transfer of cargo between the various modes of transport, without having to constantly unpack and repack it. Because containerization managed to greatly reduce the expense and speed of international trade, it drastically changed the way the shipping industry had operated for centuries, and ultimately led to the globalization of the world economy. Today, approximately 90 percent of all non-bulk cargo, worldwide, is moved by containers stacked on transport ships, with roughly a quarter of all container transshipments coming from China. In America, nearly 25 million containers are moved every year by some form of intermodal transport. CIMC, the China International Marine Corporation, is the world’s largest manufacturer of container boxes and the trailer chassis that the boxes sit on when they get driven to their final destinations and then back again to the shipyards from whence they came. 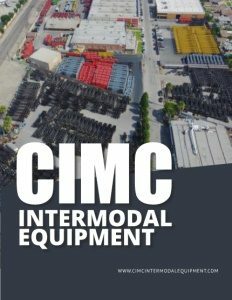 In 2008, CIMC bought 60 percent of a Texas-based chassis-making company called Direct Chassis; in 2011, CIMC acquired 100 percent of Direct Chassis and the company became part of CIMC USA, was renamed CIMC Intermodal Equipment, and moved from Texas to South Gate, California where, today, it receives steel chassis components produced by CIMC in China. Those steel sub-assemblies are then combined with domestically sourced trailer components – wheels, tires, axles, suspensions, and electrical systems – to produce trailers and chassis engineered specifically for the North American market. In addition to its west coast facility, CIMC Intermodal Equipment opened another chassis assembly plant in 2015, in Emporia, Virginia. For example, CIMC changed their chassis’ tires from bias to radial, and improved their lighting and braking systems. “And now, the premium product is a whole lot safer on the highways and maintenance is minimal because you take the tires out of the equation, and you take lights out of the equation, and you put better brakes on it, and those are the three major maintenance items in the trucking industry,” says Sonzala.